FEATHER was designed by the world famous Sparkman & Stephens. Her hull number is 104 and was built in 1968. She has been restored from the top of her mast to the bottom of her keel. 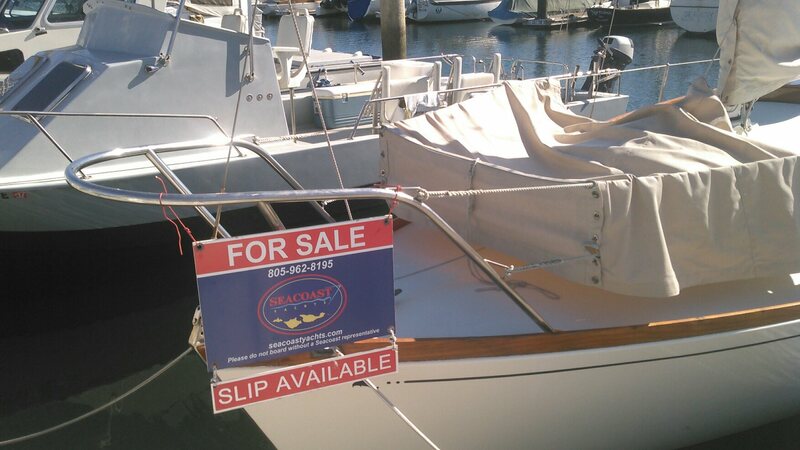 She has a newer Awlgriped aluminum Buzz Ballenger mast and boom. She has all newer 1x19 ss shrouds with bronze open bodied turnbuckles. 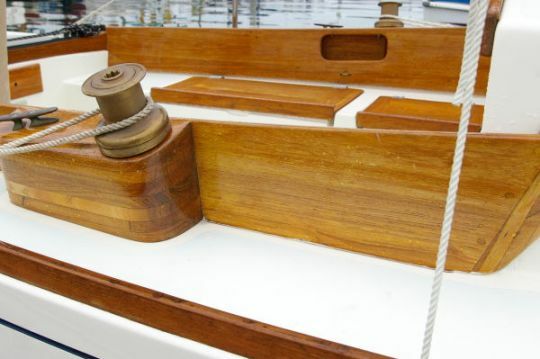 She has (4) bronze Harken winches for halyards and sheets. Her decks and topsides have been sprayed with Awlgrip. All her teak has been stripped and sprayed with two part Awlgrip Awlbrite varnish. Her beautiful teak interior has been stripped and varnished. Her traveller and mainsheet system are newer from Harken. 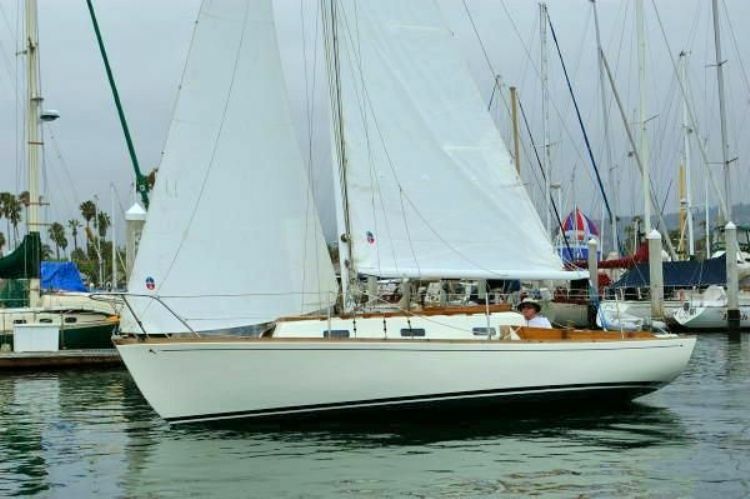 She has newer Ullman Dacron main, jib, and Nylon drifter.Call for details, this is a restoration that is 90% complete. You have the opportunity to finish the interior to your specifications. February 14, 2016. 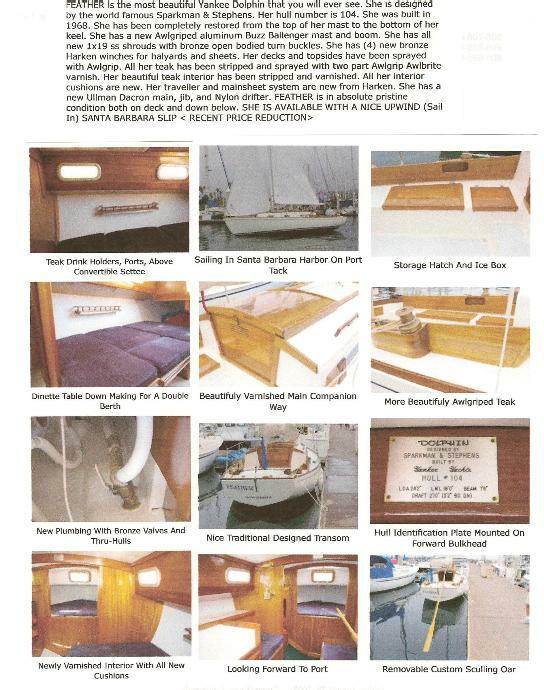 Feather is FOR SALE again - below is the link to the Yachtworld ad YW#: 14024-2846625 and lots of pictures further down the page. FEATHER is the most beautiful restored Yankee Dolphin that you will ever see. 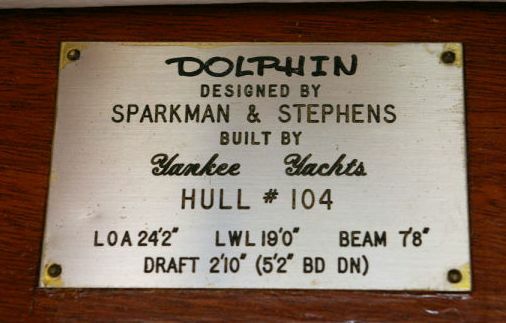 She is designed by the world famous Sparkman & Stephens. Her hull number is 104. She was built in 1968. 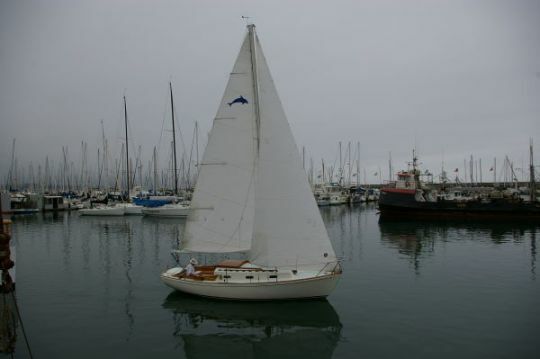 She has been completely restored from the top of her mast to the bottom of her keel. She has a new Awlgriped aluminum Buzz Ballenger mast and boom. She has all new 1x19 ss shrouds with bronze open bodied turn buckles. She has (4) new bronze Harken winches for halyards and sheets. Her traveller and mainsheet system are new from Harken. Her decks and topsides have been sprayed with Awlgrip. All her teak has been stripped and sprayed with two part Awlgrip Awlbrite varnish. Her beautiful teak interior has been stripped and varnished. All her interior cushions are new. She has a new Ullman Dacron main, jib, and Nylon drifter. 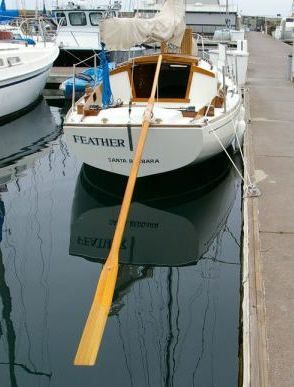 FEATHER is in absolute pristine condition both on deck and down below. 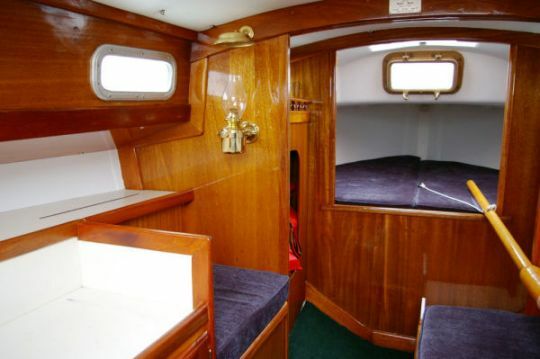 FEATHER has a very nice interior layout with a v berth forward that sleeps (2) and a convertable dinette table that drops down making a nice double that sleeps another (2) persons. All her cushions are new and never slept on. 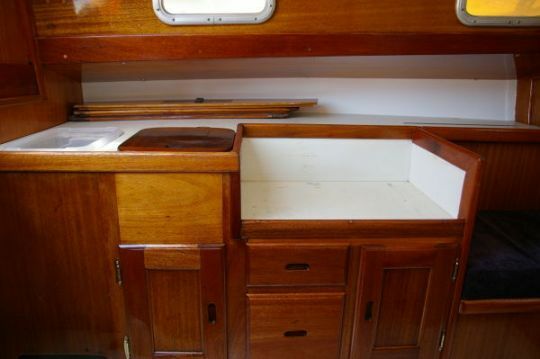 Her nice teak interior has been stripped and varnished. Where not varnished she has been repainted with an off-white satin marine enamel. All brightwork has been sprayed with Awlgrip Awlbrite two part varnish. Her deck cleats, chocks, winches, and forward cabin opening port are bronze. Feather has been completely restored by a boat yard in Santa Barbara that specializes in yacht restoration. 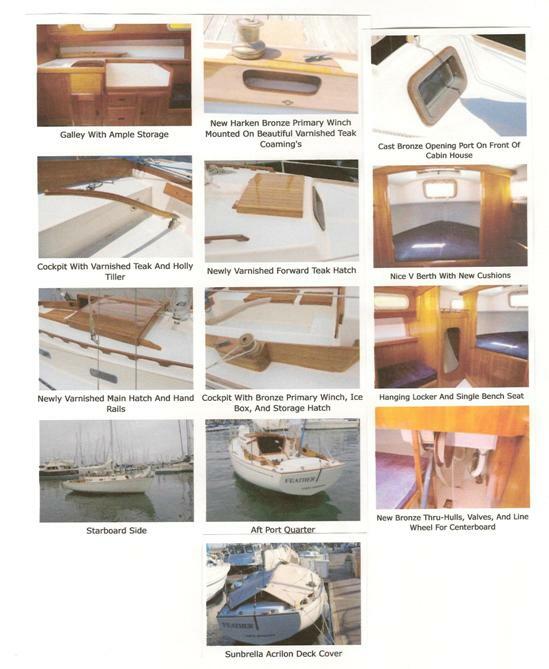 Any filler used to fair boat before painting is made by West System and is epoxy. Even her center board has been faired to a smooth finish. January 24, 2010 FEATHER was offered at $19900 The following photos are from the gallery at Yachtworld's ad, where they can be better seen. February 3, 2013. We have a sighting report - Feather is still in the Santa Barbara Harbor. 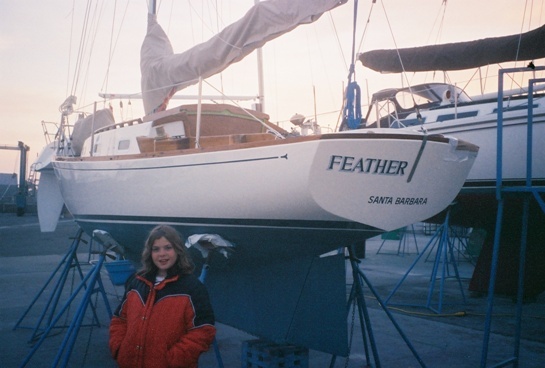 Back on April 30, 2010 Stephen Millard at Chandlery Yacht Sales in Santa Barbara advised us Feather was sold. We have been standing by since for the new owner to check in. 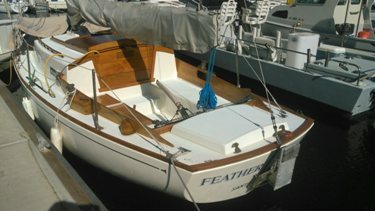 Just wanted to let you know that FEATHER has been sold to a new owner who understands what a magnificent boat she is. She will stay in Santa Barbara, CA.